With programs available at thousands of college campuses across the United States, ROTC programs are among the most commonly available college programs in the. But, if you have never been in one, or don’t know anyone who has, it might be difficult to know what they are all about. Nowadays the ROTC, and its high school counterpart the JROTC, are available nationwide as a means of teaching good citizenship, moral values, and physical fitness to young people, with less emphasis on the military component. With financial aid benefits being strong, the ROTC has become an attractive means of paying one’s way through school, while also learning valuable life skills and basic military training. For many, the desire to serve the country is reason enough to join the ROTC, and there are certainly plenty to be gained for those seeking such an opportunity. The ROTC is an effective means of preparing one’s self for active military service, while also helping curb the cost of college tuition. A path to a career after college. Development of technical job skills. Physical conditioning through exercise and nutritional education. Unmatched development of leadership and management skills. Scholarship money to help pay for classes, books, and other fees. Before making any decision to join an ROTC program, it is highly recommended that students consult with an academic adviser about how such a program would affect their major, their projected graduation date, and their post-graduation plans. Any ROTC scholarship, for instance, is dependent on students agreeing to post-graduation active military service time, which must be taken into account when planning for life after graduation. ROTC training times can also interfere with students’ class schedules, so schedules would have to be planned accordingly. How Do ROTC Programs Work? Anyone enrolled in a 100-200 entry level class, whether they are under a scholarship or not. Anyone interested in continuing in the ROTC program, having enrolled in the Cadet Command Information Management System (CCIMS). Students who have accepted a scholarship and have agreed to post-graduation active military service. With 3,230 units in high schools across the country, the JROTC is available to high school students everywhere. According to numbers published by the U.S. Army, over 274,000 High School students serve as JROTC cadets each year. Upon graduation, many programs hold special awards ceremonies, military balls, or graduation programs for their members. Graduation from a High School JROTC program is also great preparation for future enrollment in a College ROTC program. One of the major benefits of participation in a college ROTC program is that students who do so have their tuition paid for through an ROTC scholarship. This scholarship, however, does necessitate a minimum of 3 years of future active duty military service. Interested college students who are unsure about future military service may take intro level ROTC elective courses without incurring any military commitment. 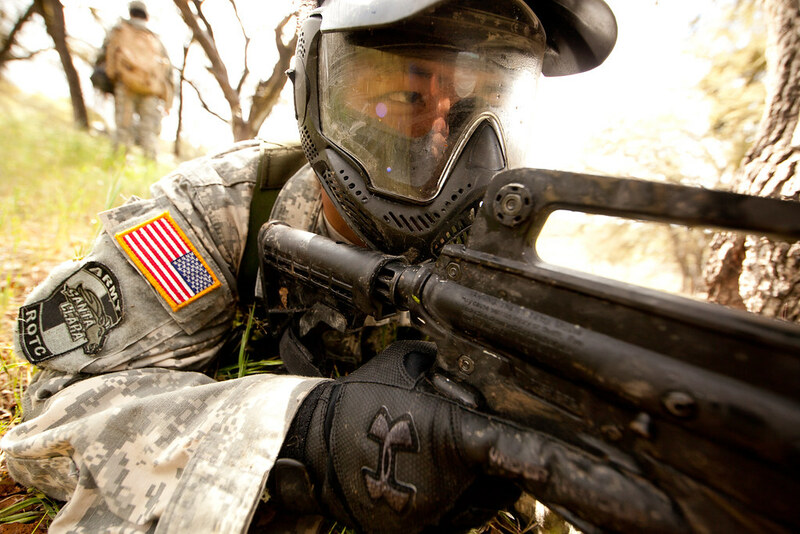 The classes offered in the first two years of any college military program cover general military topics and studies. They cover topics such as army leadership, military operations and tactics, communications, applied leadership theory, principles of war, and goal setting. After the first two years, students begin to study more advanced military courses including team dynamics and leadership, weapons, laws of war, military justice, and command and staff functions. Upon graduation from a college ROTC program, graduates will be appointed officer status in their branch of military, and will begin their active military service. Officer status is not attainable to other entry level military applicants. What Kind of ROTC Scholarships Are Available? Each ROTC program (Army, Navy, and Air Force) offers their own scholarship programs with varying degrees of financial support and required military commitment. In this section we’ll break down every scholarship offered by each branch to show their duration, degree of financial support, application requirements, and service obligation. Army scholarships are offered for 2, 3, or 4 years depending on how much time the recipient has left in college. Regardless of duration, all Army ROTC scholarships share the same benefits and requirements for future military service. Some cadets may choose to serve part time in the National Guard or Army Reserve while pursuing a civilian career. The Navy and Marine Corps offer several scholarship options ranging from 2-4 years. Though the scholarships are slightly different, they share the same basic requirements. Interested individuals can check the Navy ROTC website for a complete list of requirements for every scholarship. The Air Force offers three different scholarship programs that provide differing academic coverage and last either 3 or 4 years. The application process for each of these scholarships, however, is the same. Approximately 5% of applicants are awarded Type 1 scholarships, 15% are offered the Type 2 scholarships, and the remaining group is awarded the Type 7 scholarships. Disclose all past drug abuse problems, and commit to living drug free in the future. How Do I Know if the ROTC is Right For Me? Joining a college ROTC program is a great idea for someone who already knows that they would like to pursue a military career after graduation. Doing so will allow them to receive a free college education and will give them a headstart in rank upon graduation. Students who enjoy physical fitness, have a willingness to follow orders, a natural ability to lead others, and a high level of discipline and determination may be more naturally fit for a career in the military, but that does not mean that other personality types cannot be successful. The decision to join a college ROTC program is one that should not be taken lightly. Joining a college ROTC program comes with a legally binding contract for future military service. Those thinking about applying should talk to their family, academic advisers, and others close to them about the pros and cons of doing so. Those who do decide to join will find that their military and ROTC experience equip them with a wealth of knowledge and skills that are extremely helpful in future job searches. Many careers highly value the skills that veterans learn while in the service, which helps to make the transition from military life to a civilian life, an easy one. At the end of it all, the decision on whether or not a college ROTC program is right for you is a personal one. Take some time, weigh your options, and be sure to choose what is right for you and your future.